The data points don’t lie: customer sessions are consistently ranked by attendees as the most popular, most valuable part of Tableau Conference. And our customer speakers are the reason why. TC speakers are engaging, interesting thought leaders from a cross-section of industries, who never fail to bring unique perspectives about how their organizations are achieving remarkable outcomes with Tableau. In other words, they are doing wicked smart things with data. Can't wait? Take a detour and check out the application to speak now. As past speakers can tell you, the TC speaking experience is a not-to-be-missed opportunity to share your Tableau story with an audience that is ridiculously enthusiastic. Fanatical, even. In the very best way. Seriously, though, being a speaker at TC has benefits long after you leave the podium. Speaking is a chance to rep for your brand, establish your credentials among peers as a Tableau expert, gain exposure with other leaders in your industry, finesse your speaking skills, and let’s be honest—geek out on data and have fun doing it. "My favorite thing about speaking at Tableau Conference is the audience feedback! So many people come up to you after your session or during the conference and offer interesting comments, questions, or suggestions. Speaking is a great way to network and challenge your perspective. Plus, you get to feel a bit like a celebrity!" -Mitchell Grewer, Self-Service Analytics Coach and TC18 speaker. Check out Mitchell’s TC18 session! "Being accepted to speak at TC, and then sharing the great evaluations I received, got me huge kudos with my boss—in fact, he makes a point to brag about it to current and potential clients. The connections I built are incredible, and not just for a professional network—I've met up with some of these friends during travels and we've shared our Tableau stories. " -Joshua Smith Creative Director, Analytics, Front Health (formerly Midwest Health Collaborative) Check out Josh’s TC18 session! "Speaking at a conference that promotes using analytics to address business objectives is an amazing experience. I left the conference feeling motivated to press forward with my ideas. 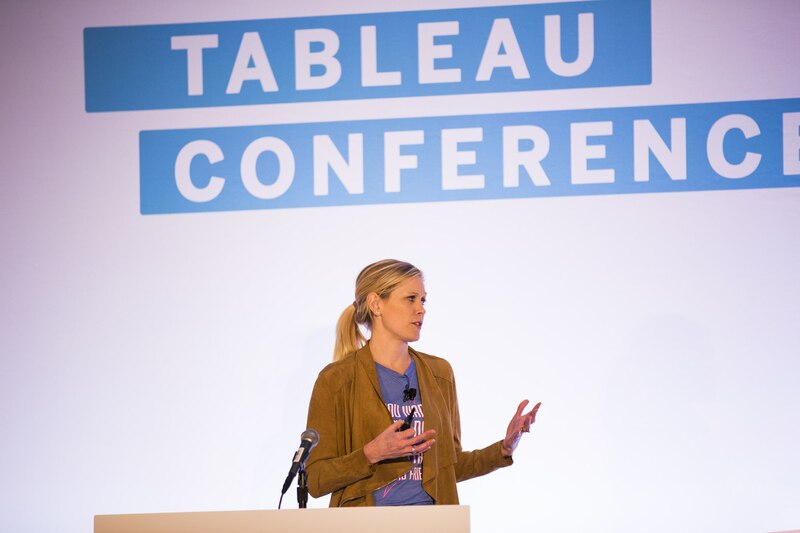 My favorite thing was connecting with other Tableau users who are trying create change in their organizations." -Marseta Dill, PMO Program Control Manager, Federal Aviation Administration. Check out Marseta’s TC18 session! And talk about extensibility! Your presentation in Vegas will not—we repeat not—stay in Vegas. Our TC sessions are archived on YouTube so new audiences (and maybe your mom) can experience the magic you brought to the podium, again and again. We’re looking for real-world stories about data challenges and innovative solutions using Tableau. Whether you’re a small, medium, or enterprise business, a non-profit or government entity, we encourage you to apply today! We’d like to hear from you. Got questions? Check out our FAQ!